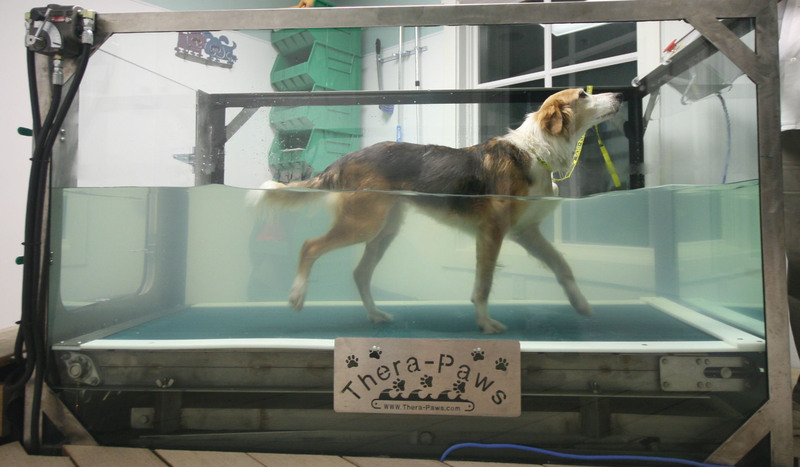 We are pretty excited to once again have an underwater treadmill for performing canine rehabilitation. For those of you who weren’t clients of ours when we first began to offer rehab services a few years ago, here’s an introduction to the treadmill and its uses. making it a pleasant experience. 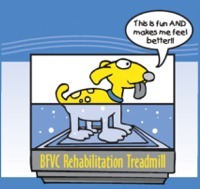 Some dogs love the treadmill and others just tolerate it. Very few cannot use it at all. Even some cats will learn to use it! If you are concerned about it, purchase one session to start with. If things go well you can then invest in a package of sessions.